There is almost nothing you cannot find on Taobao. It's similar to Amazon except much bigger. 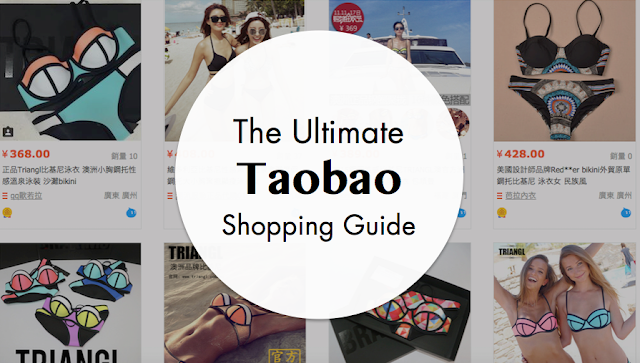 And to put it to perspective, 2014 sales for Taobao $420 Billion, Amazon $74 Billion, and eBay at only $16 Billion. With such a large customer base there are more sellers, more products, and more product reviews. But because Taobao is mainly serving the Chinese market (85%), the whole end-to-end purchasing journey is done in Chinese. I am fortunate enough to know the language and have bought many amazing items on there. One of my favorites was an evening gown, more like wedding dress, that I bought for last year's Christmas Party and it cost only around $60 USD. It wasn't crappy Made In China quality because the honest customer reviews keeps the sellers in check. I've also bought around 5 bikinis throughout the summer and people keep asking where I've gotten them from. Of course there were some products that were a disappointment, but it's so affordable to a point that it's not even worth paying for shipping to return the item. 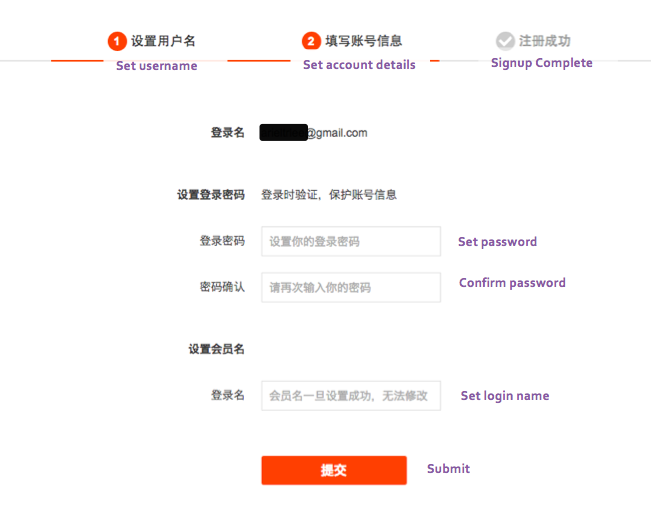 Fortunately the account sign up page comes in English as well, but I've gone ahead and translated the steps in case. You can register via phone number or e-mail. When registering with your phone number it'll send you a text message with a confirmation number. When registering with your e-mail there will be a confirmation email with a link sent to you. After you've created your account and logged in, it will say "Hi, username" on top. Beside it is the shopping cart. If you hover over "Hi, username" it will give you some account settings option, log out button, and most importantly "Items I've bought". That is the most commonly used button to check the statuses of your items. After the search bar you will see item categories that you can click on. 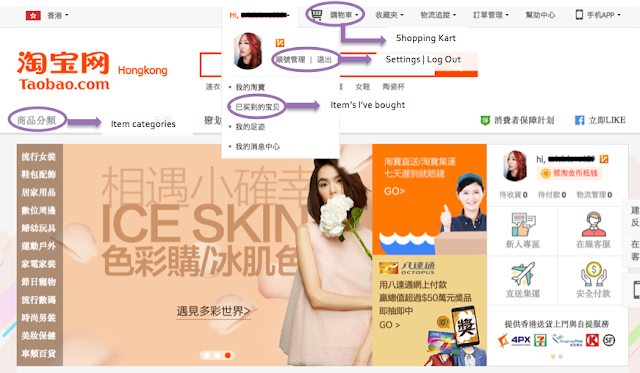 When searching for items, you can use google translate for a little help. You can also search in English and you might find some items. 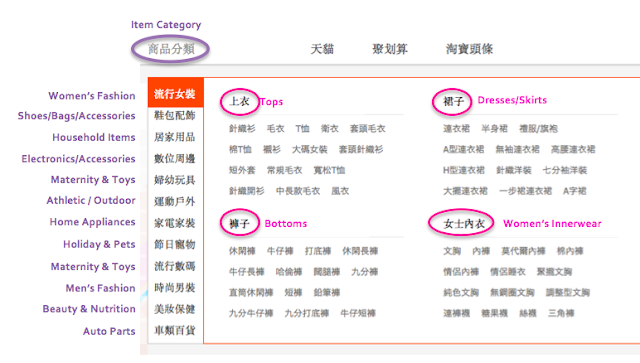 However the items you find with English keywords are often more expensive, and have less "items sold". Items sold is a good indicator for how popular that product is, as well as how trustworthy the seller is. As you can see in the picture below, if you hover over the item's picture you can see 2 orange buttons. You can search for the exact same item, or search for similar items. This will really help if you don't know what to search in Chinese, and you start with English keywords then look for similar items. This is an example of what you get after click on "similar search". Pretty cool right? It will usually give you around 2-3 pages of results. Before adding an item to your cart, you want to make sure you've selected the right ship to location. You specify it right below the pricing. Check out the pictures below on the options for shipping locations. 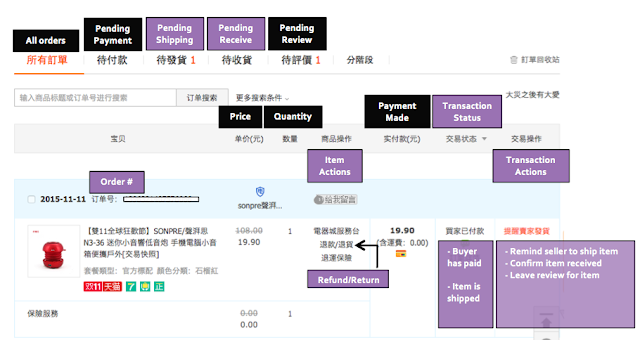 This is for Taobao to estimate your shipping cost upon check out. 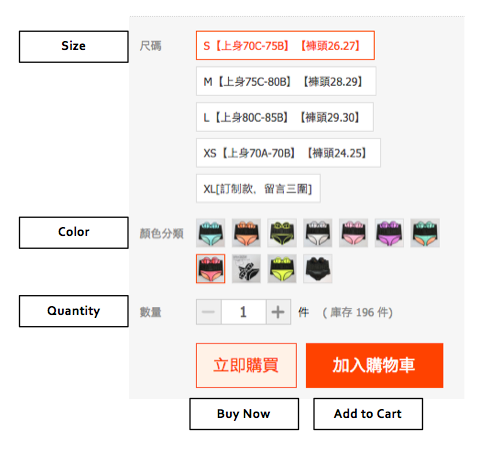 Sizes on Taobao will tend to run smaller than actual sizes. So make sure you check out the measurements. Usually for clothing items they will have a measurement chart in the product description. If you scroll down you will see product details. It often includes sizing charts, photos of different colors, measurements, exchange/return policies. But the most important is the "Buyer reviews" tab. What I always look at is the photos option. These are photo reviews taken from buyers so they are more realistic than the professional photos taken under product details. These will often save you from buying an overly cheap item that you don't end up using at all. You can also see the amount of good/neutral/bad reviews. And follow up reviews are generally better for electronic items. Sometimes buyers will come back after a month of purchase saying that the item is still great or it broke. I have skipped the check out process for now since I haven't purchased anything lately so I don't have screenshots. I believe check out on Alipay is available in English, if not google translate works quite well on that page. They accept most major credit cards. 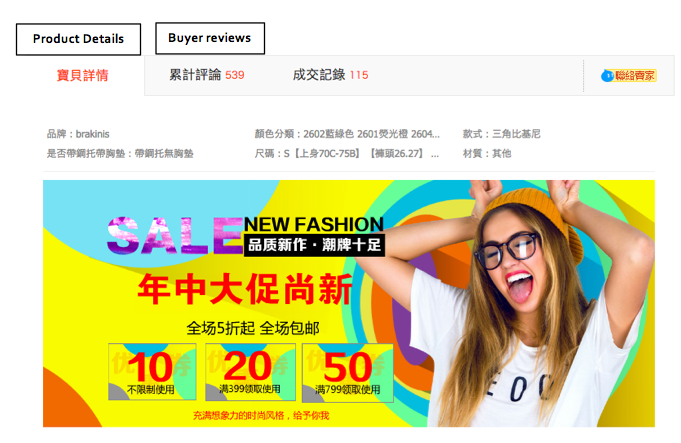 If you are located in Hong Kong, in the check out comments box section, always include "如需補運費請用順豐到貨付現" (If extra shipping is needed, please use SF Express pay cash upon arrival). For the most part shipping to HK is considered international and isn't included in the usual shipping charges. If you don't contact the seller proactively they will ignore your transaction and your item will never get sent out. 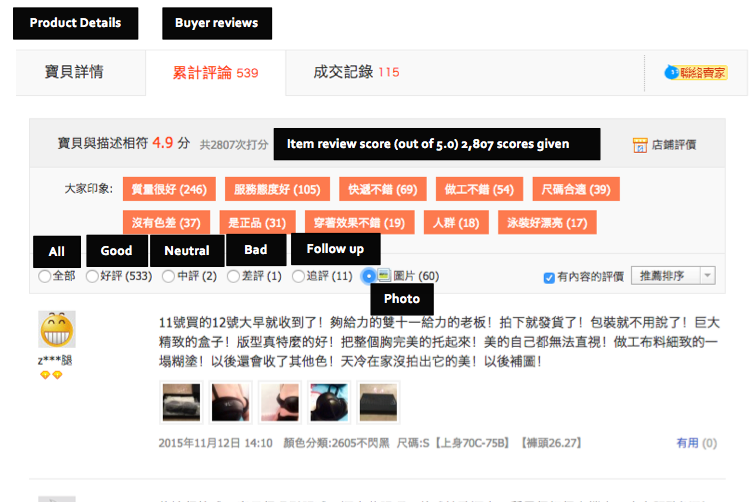 If you checked out without leaving this comment, you'll need to go to online chat and leave the seller a message with the order# and that exact same message in Chinese. Now that you've purchased your item, you can track the process under "Items I've purchased" under your account. Here are some of the tabs and actions you can do on items. After the item is shipped out, the shipping tracking number will appear under transaction status. 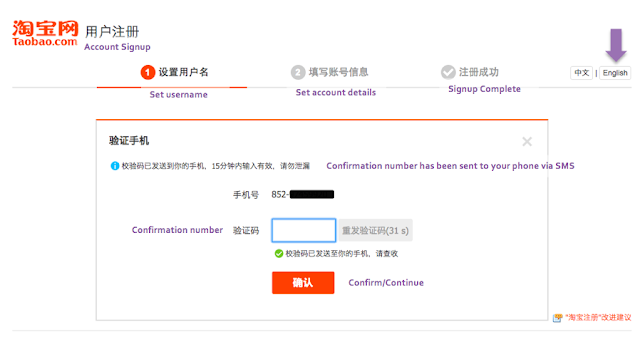 You can hover over the tracking number to check the status (google translate works). I really hope this helps, and please let me know if there are other pages you'd like me to translate, or if you have any questions about ordering on Taobao. Happy Shopping!